Dimensions: 6.1" x 9.2" x 0.6"
A tremendous book detailing compelling scientific evidence that the genomes of all living creatures are slowly degenerating. 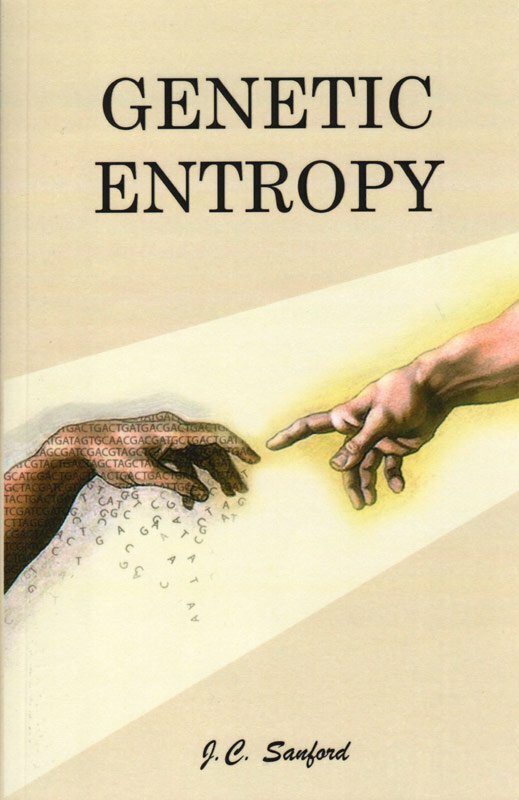 Genetic Entropy is a must-read for any thoughtful person who is interested in science. Genetic Entropy presents compelling scientific evidence that the genomes of all living creatures are slowly degenerating - due to the accumulation of slightly harmful mutations. This is happening in spite of natural selection. The author of this book, Dr. John Sanford, is a Cornell University geneticist. Dr. Sanford has devoted more than 10 years of his life to the study of this specific problem. Arguably, he has examined this problem in greater depth than any other scientist. The evidences that he presents are diverse and compelling. He begins by examining how random mutation and natural selection actually operate, and shows that simple logic demands that genomes must degenerate. He then makes a historical examination of the relevant field (population genetics), and shows that the best scientists in that field have consistently acknowledged many of the fundamental problems he has uncovered (but they have failed to communicate these problems to the broader scientific community). He then shows, in collaboration with a team of other scientists, that state-of-the-art numerical simulation experiments consistently confirm the problem of genetic degeneration (even given very strong selection and optimal conditions). Lastly, in collaboration with other scientists, he shows that real biological populations clearly manifest genetic degeneration. Dr. Sanford's findings have enormous implications. His work largely invalidates classic neo-Darwinian theory. The mutation/selection process by itself is not capable of creating the new biological information that is required for creating new life forms. Dr. Sanford shows that not only is mutation/selection incapable of creating our genomes - it can't even preserve our genomes. As biochemist Dr. Michael Behe of Lehigh University writes in his review of Genetic Entropy, "...not only does Darwinism not have answers for how information got into the genome, it doesn't even have answers for how it could remain there." Dr. Sanford has coined the term "genetic entropy" to describe this fatal flaw of neo-Darwinian theory. This fundamental problem has been something of a trade-secret within the field of population genetics, with the rest of the world largely being kept in the dark. Fortunately, this book finally discloses this very serious problem, using language that is for the most part accessible to all scholars and students having a basic understanding of biology. 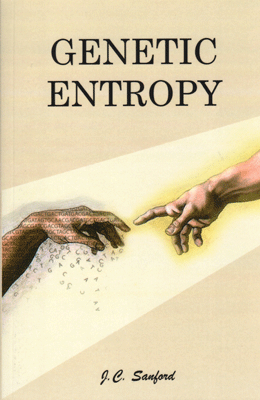 This new edition of Genetic Entropy includes numerous new lines of evidence supporting Dr. Sanford's thesis. Much of this new evidence is from recently published scientific papers that are now part of the scientific literature. Dr. Sanford ends his book by asking two questions. First, if our genome did not actually arise via the accumulation of genetic "word-processing errors" (as is claimed), how did it arise? Second, if our genomes are undergoing relentless degeneration - where can we possibly place our hope for the future?